The diversity of our range allows you to create skate parks that suit your needs and are adapted your users’ levels. If you want to build a concrete skate park, the StoneParks concept offers a range of prefabricated or sprayed concrete spaces. If you want a modular space, economical and easy to install, the Rhino-Ramps range is good value for money. 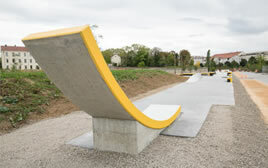 Finally, wooden skate parks are the ideal solution for perfect integration into the natural environment. 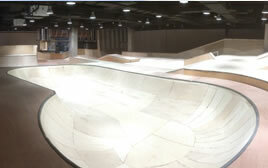 You can also design unique indoor skate parks.